I finished 2 paintings that I've been working on in class. This windmill is from a photo I found online, tulip fields in Holland. 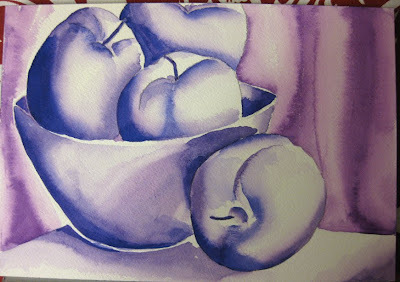 In class we did a project using the "vanishing purple" process. You paint in all the shadows with purple, laying down your values, darks and lights. After, you paint color and the purple shows through as the shadowing. Pretty cool! This week we will be painting Callalilies for Easter. I guess that I have to comment on my own blog. Not sure anyone looks at it anymore. I suppose maybe because I don't blog very often. Keep up the good bloggin' Kathy. Great work! 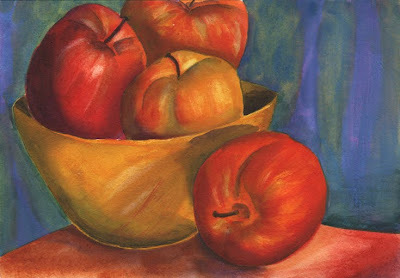 Love the definition the shading and value give it. 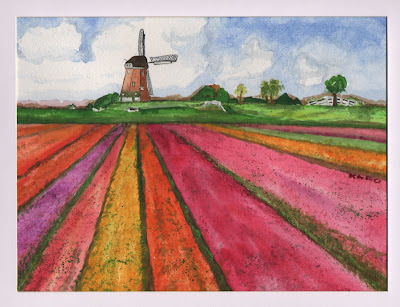 It is an honor to see that you had my photo as inspiration to your windmill tulips painting.